This is one Archmage who isn’t messing around. 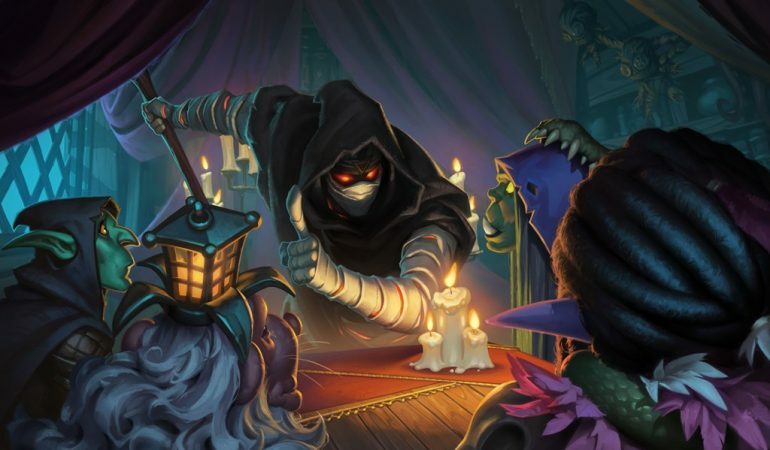 Hearthstone fans, rejoice—another new card has been revealed from the upcoming Rise of Shadows expansion. The card is apparently a Big Bad Archmage. This card is a neutral minion with a hefty mana cost. Big Bad Archmage costs 10 mana and has six Attack with six Health. The card’s effect is what makes it worthy of such a high mana cost, however. At the end of your turn, Big Bad Archmage will summon a random six-cost minion. This means your 10 mana doesn’t just get you a 6/6, but an additional high-cost minion. 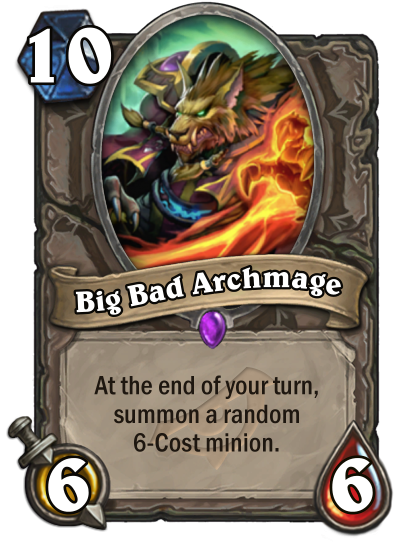 Speaking of the title Archmage, Big Bad sure does seem like he would combo well with new Mage card and fellow Archmage, Khadgar. The new Mage Legendary causes your cards that summon minions to summon twice as many. That means playing Big Bad Archmage after Khadgar is on the field would cause him to summon two minions instead of one. We’ll have to wait and see what other decks Big Bad Archmage will find himself in, but it definitely looks like he’ll have a home among his fellow Mages. You can check out Big Bad Archmage, Khadgar, and all the new Rise of Shadows cards when the expansion goes live on April 9.